WOW - If you like charming then this is your NEW HOME. This is a one of a kind 3 BR 2 BA Brick home with 2 car garage on coveted corner lot. Owners have remodeled, painted, placed new trim , added a beautiful sliding barn style door in the hall, a repurposed wood ceiling in master, and put up amazing hand crafted shutters. The beautiful kitchen updates include a new sink, faucet, countertops, backsplash, microwave and stove ! Gorgeous BATHROOM ! Home has a VERY NICE laundry/utility room. Energy efficient windows, new garage doors,new front and interior doors, updated electric, beautiful hardwood flooring and tons of charm. The back glass doors lead to a very nice 21'X 36'covered porch. In the backyard you will also find TWO large storage/ work buildings.The fence on this home is a masterpiece of woodworking and repurposed tin from an old elevator. If it's not your style owner will remove and leave posts. 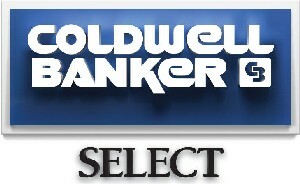 Possible owner financing with seller approval of credit and down payment.